Examine the results from your own equipment. FilterMag produces results you can see with your eyes and measure in the lab. We can substantially improve the efficiency of any filtration system whether it is installed on fixed or mobile equipment. 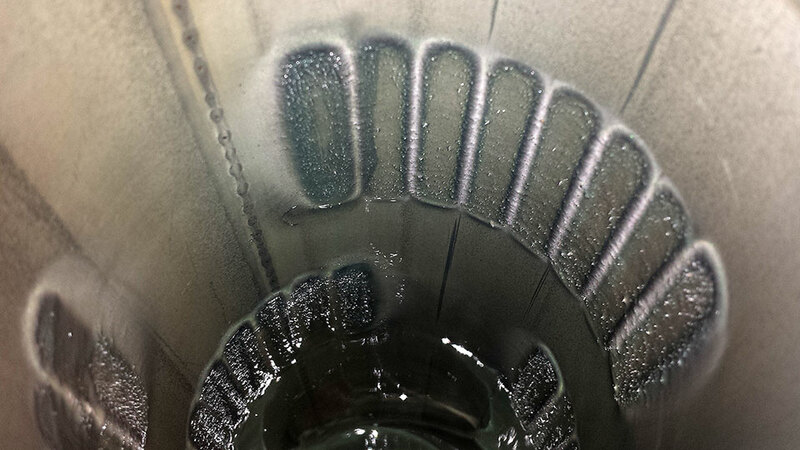 Accumulated particulate contamination from a 400 hour oil change interval. The collected debris that passed through the filter has been captured. The patterns of debris are in the dimension and spacing of the directed magnetic flux reaching into the filter housing. All of the materials in these photos are actually agglomerations of very small particles which, individually, cannot be seen with the human eye (visual limit of eye is 40μm). 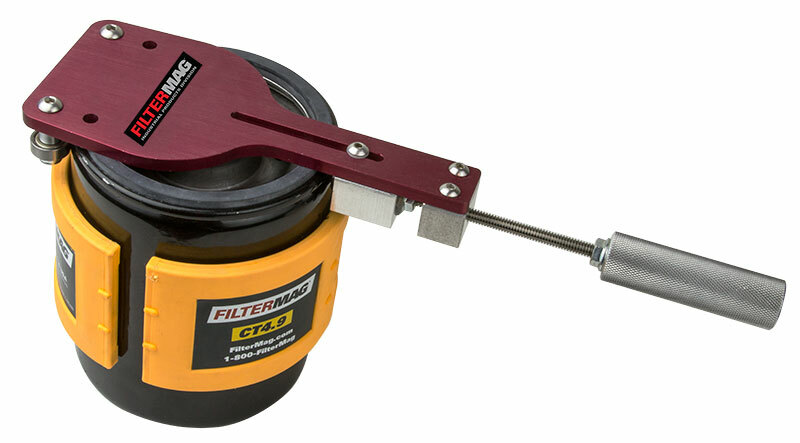 Fuel Filter Capture—Rust build up in diesel fuel tanks is a common problem. Clogging primary and secondary fuel filters happens. In this case the problem went to an extreme. 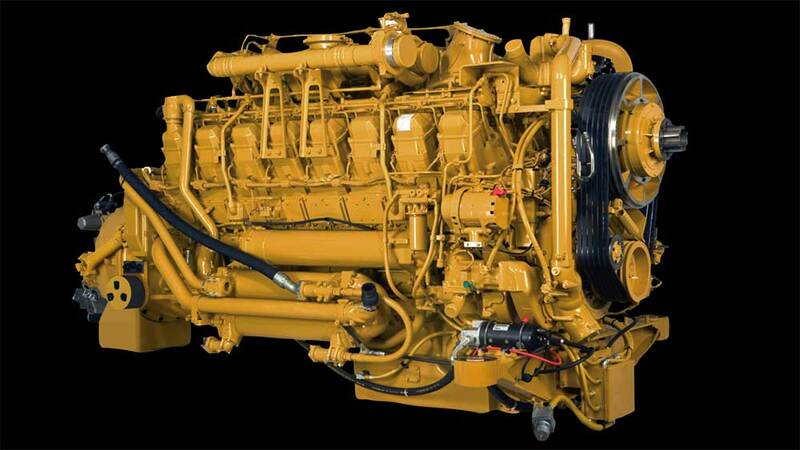 Fuel Filter Unusual Rust Capture—FilterMag CT4.9s were installed on the fuel filters of a haul truck plagued by rust in the diesel fuel. The capture of rust speaks for itself. 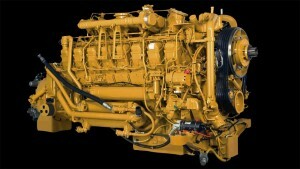 FilterMag provided enough relief from rust in the fuel that the truck could be operated until its scheduled maintenance and the fuel tank overhauled. Wait. What? FilterMag captured rust? 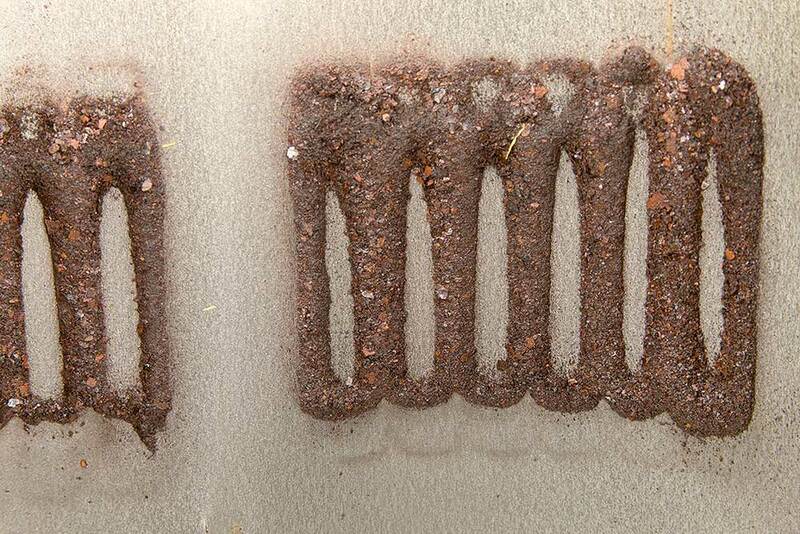 A particle of steel that is 100% converted to rust cannot be attracted by FilterMag. Its chemical structure has been forever changed into a nonmagnetic state. 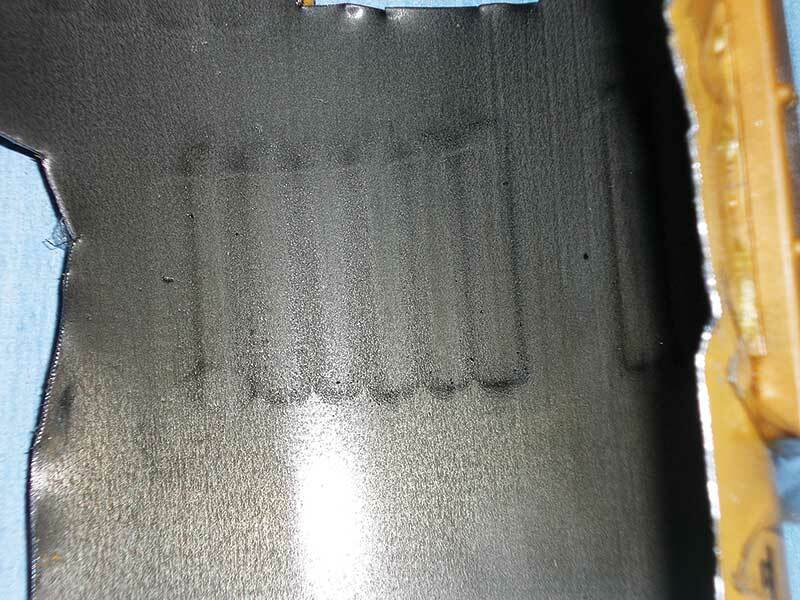 However, if there is a small fraction of the steel particle that has not been converted to rust, FilterMag can grab it. 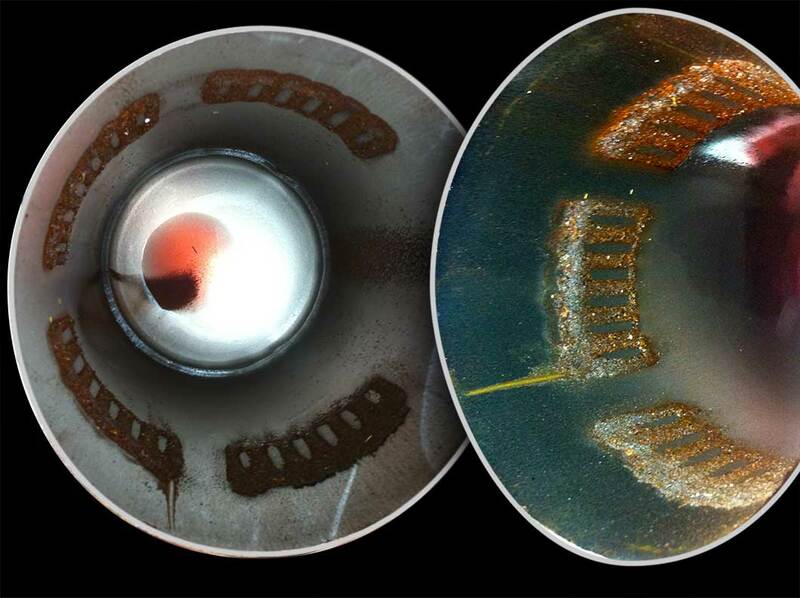 These pictures demonstrate rusted particles will fall from the inside surface of the tank (or any other steel surface) well before they are fully converted into rust. FilterMag’s rust capture stopped the particles that made it through the fuel filters, and in this case, unloaded the filters long enough to allow truck operation until the tank could be replaced. What do 10 million particles look like? How were they counted? The oil/solvent mix and a Teflon spatula were then used to wash the particles from walls of the filter into a clean 50 ml graduated cylinder. The cylinder was brought up to a final volume of 50 ml that contained the particles and the oil/solvent mix. Approximately 10 million particles captured by FilterMag before removal for counting. This is 7% of the 134 million total particles captured. 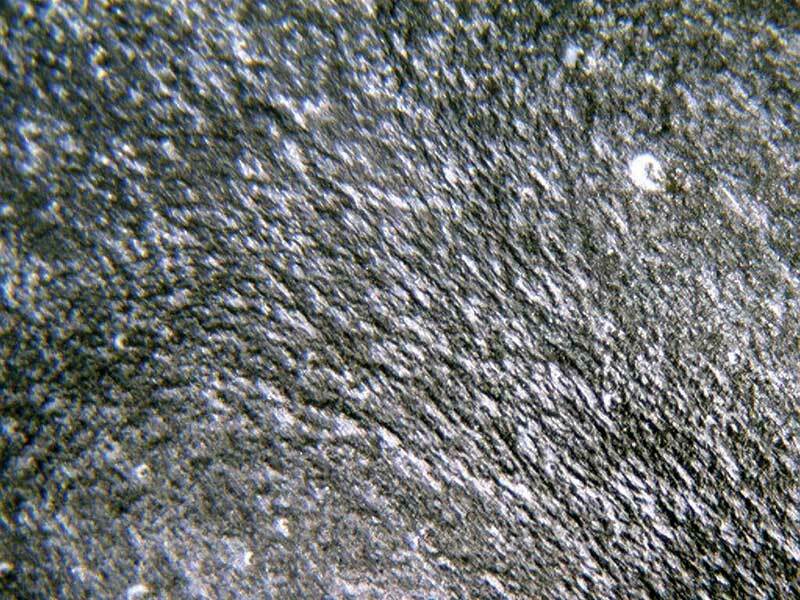 Microscopic photo of particles captured by FilterMag (45X magnification).